One piece high quality 100% hand made pretty oil paintings art on canvas painted by our professional artist with years of oil painting experience.A perfect Christmas and New Year gifts for your relatives and friends. 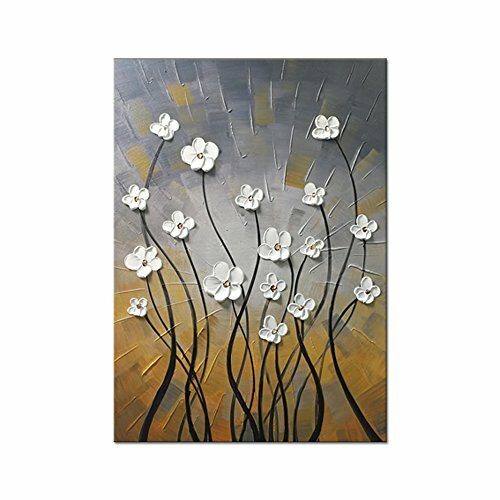 One piece vertical gallery wrapped perfect white flowers canvas oil paintings wall art ready to hang for home decorations wall decor, each panel has a black hook already mounted on the wooden bar for easy hanging out of box. Oil painting flower size: 20x28inch (50x70cm).